It’s as official as it gets. I’ve got the paper to prove it. I’m finally a law graduate! Time to change the Twitter profile and About Me page ;). It was a blessed day; the weather was perfect (thanks for those who sent prayers up on my behalf!) and the atmosphere joyful. All the late nights, hard work and life-depriving things that a law degree equates to have paid off :). Best of all, I could celebrate with my fellow law graduates and with those who have helped me get here. Thanks to those who popped by and for your well-wishes, flowers and gifts :). Graduation dinner was had at Pabu Grill and Sake (post to come hehe) followed by some delightful scoops of ice-cream at Il Dolce Freddo ;). I’d like to particularly acknowledge my special guests for the day. My primary school principal and her husband who both graciously attended my graduation ceremony. They saw something in me so early on and nominated me for a trust fund scholarship, which provided for my high-quality secondary school education, setting me up well for the following years of tertiary studies. 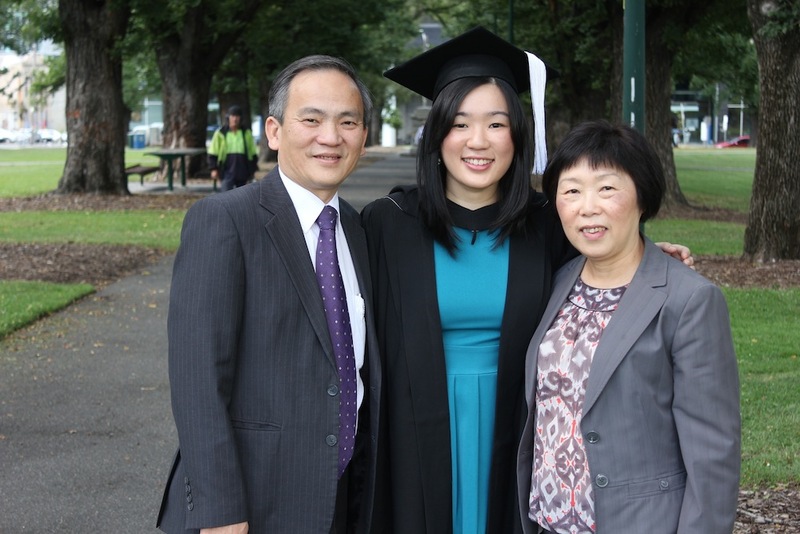 Without their support, encouragement and prayers, I would not be where I am today. Thank you, Mr and Mrs Norsworthy! And of course, my parents. They believed in me even when I wanted to give up. During those all nighters, they would check in to see if they could make me a hot drink or just stay up to keep me company. They are my pillars of support. My success is your success and all for the glory of God! I am so blessed to have you not only as my parents but as my mentors, my sounding board when I have challenges and also to have you as my friends. I love you both and thank you so very much from the bottom of my heart! Back to the Singapore food next ;). Congratulations Ames :) You have done so well and I’m so proud and happy for you!!! WOW that’s so sweet for your primary school principle and her husband to come celebrate your BIG day! YAY! Congratulations!!! All that hard work finally worth it. You’re amazing! Thanks, American Ames! The day will come for your husband sooner than you think as well. Congratulations Amy! You’ve got a bright mind and you work extremely hard so you deserve every bit of success! 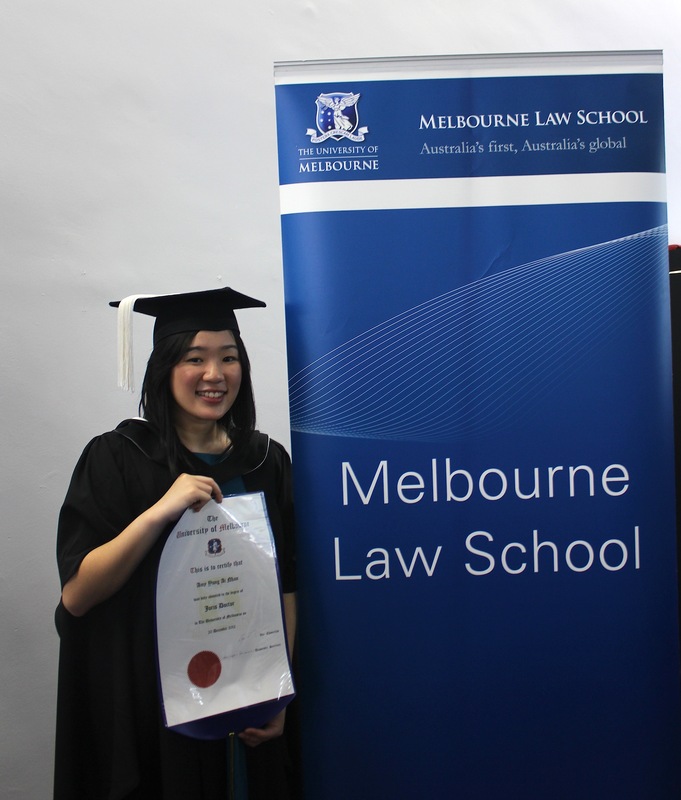 All the best in your career as a lawyer – maybe I’ll see you along William Street in the morning next year! PS. Omg, did you go to PLC?!?! Thank you for your encouragement, Libby! I’m looking forward to eating out in the city so I’m sure we’ll bump into each other (if not intentionally meeting keke) next year :D.
And yes, I did go to PLC! Did you??? Thank you leaf ^^ It was nice to get decked out in the gown and mortar board for the special occasion :) Hope you had a lovely holiday season! woah, you are too awesome, congratulations! Pingback: NYE reflections and final recipe of 2012!